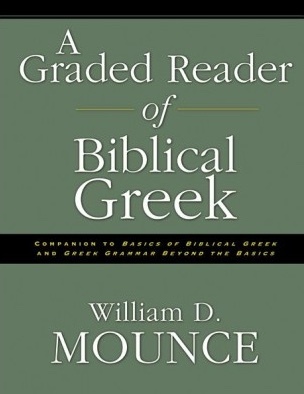 You can purchase A Graded Reader of Biblical Greek online from ChristianBook.com or from your local bookstore. Twenty Greek passages are presented in graded order. Difficult and unfamiliar grammatical constructions are explained. All words that occur fewer than 20 times in the New Testament are defined. An "Exegetical Discussion" section helps the exegete gain a deeper understanding of the language.